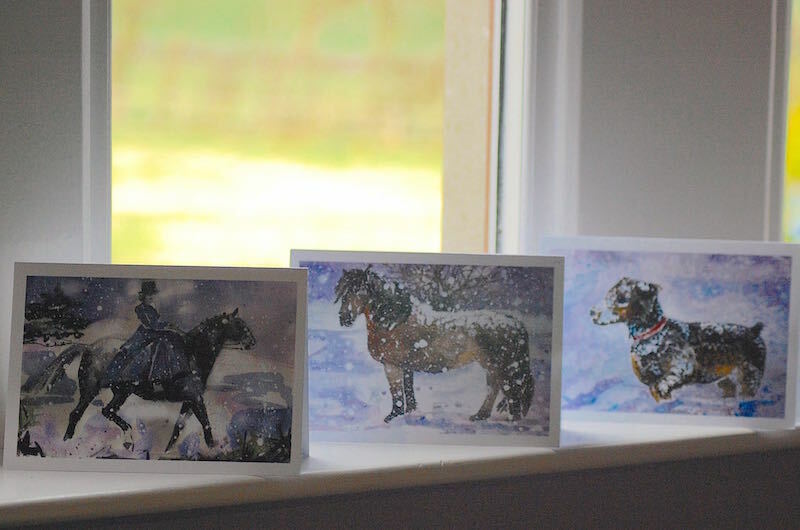 Did you ever try to find Christmas Cards with a horsey, theme with out much luck? I know I have. If you have friends or family that have a big interest in the horsey world, then look no further. Visit the online store to see lots of different images of horses ( and some dogs ) recreated in the Caro style, as cards, prints or original work. If you have a commission enquiry or a fine art request please feel free to drop me a line on the Contact Me page. This entry was posted in News on 11/11/2015 by Caro.